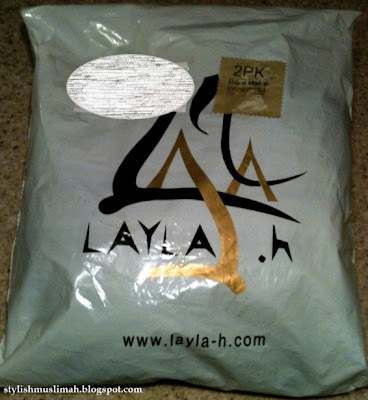 ﻿I recently received this "Gothic style jilbab" to review from Layla.h.com. If you haven't heard of them, Layla-h is a new British-based company that sells modest clothing of both Eastern and Western influences. Below is a photo of the dress I was sent. It is described as a jilbab on the website, but I think that it is more of a dress. The dress is made of soft jersey material and the top has a pretty crochet detailing on it. The shoulders are also detailed with beads and thin, silver chains. It has two pockets on the skirt. Quality: I think that the quality of the dress is quite good - it is nicely stitched and the fabric is thick and opaque. Obviously with jersey there is the innate problem of clingyness, but this can be reduced with a cotton slip skirt worn underneath. Style & sizing: It is not something that I would usually go for but I do like it. The only thing that puzzles me is whether to call it a formal or casual dress because of the pockets. I think that it is both depending on how you choose to dress it. 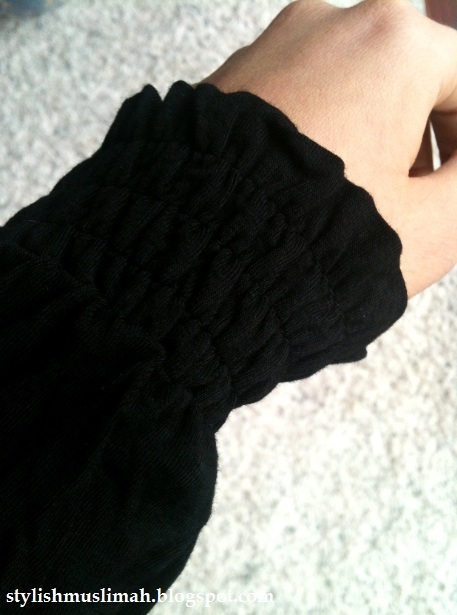 The crochet detailing is lovely and so are the cuffs. I am not hot on the elasticated waist though - I think it would have been nicer loose. One good thing about the waist though, is that it allows you to put a top with the dress so that it looks like a skirt. Also, if you are shorter, you could use the elastic to adjust the skirt length. In terms of sizing, it sort of runs true to size but looking back I think I would have gotten a 12 (UK size) instead of a 10 so that it is generally a bit looser. I am 171cm tall (to be precise..) and the dress hits just below my ankles. ﻿Vaule for money: The dress retails at £44.99. I think that this is fair compared with the rest of the high street. I would recommend checking out their website, there are a few very cheap things on there, like this beautiful pink dress for only a tenner! Overall, I like the dress and love the site. Definitely will be keeping an eye on this company and can't wait until their range expands - they have a bridal collection which is not up yet, but that will certainly be one to look out for. I hope that this review helps and if you like you can check out their website, Facebook or video below for other items in their collection.. The dress is amazing! I would love to have it! looks great on you, even better than the model...a little pricey in my opinion though. Roshni: Aw thanks that's so sweet! Neonatuara: Sorry about the top link, I've sorted it now! omg seriously they should change their models..just 1 look and i was put off the dress..but once i saw the dress for what it was when u were modelling it..its actually really pretty. I really like the dress on you, certainly suits your slim build. Imran: Are you always so sarcastic?